Concussions are some sort of damage to the brain, that has impact on the skull and affect the functioning of the brain. It is usually caused by a blow on the head. Drivers, sports persons and athletes are prone to concussions due to the nature of the games. Usually concussions are caused by a blow to the head, but it can also occur when the head is violently shaken. It is important to remember that some symptoms are immediate, while others may go unnoticed for days and months after the incident occurs. Hence, one needs to seek help of an expert and get a CT scan or a MRI to diagnose the extent of the damage. Concussions occur when an individual suffers a bump or blow on the head due to fall or other situation. A concussion is a form of traumatic brain injury; it is a condition that needs to be attended immediately. Concussions can range from mild to severe; it needs to be taken seriously because it can effect normal functioning of the brain. 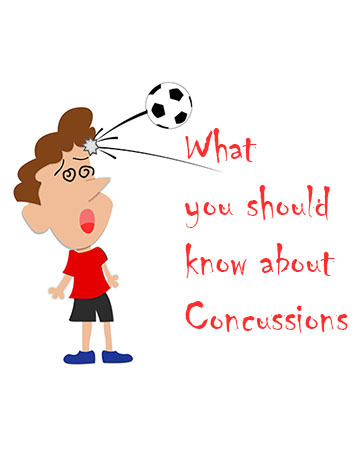 Most of the Concussions are mild and individuals are able to get fully recover with proper medications, exercise and regular check-ups. In more severe cases individuals can suffer symptoms for weeks or longer, but they are also curable. 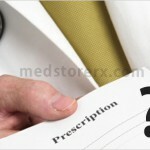 You need to undergo the prescribed medical treatment immediately and if condition worsens consult an expert. To determine how severe concussions is and to determine the effects of the treatment of concussions experts conduct series of tests like scans MRI’s etc. on regular intervals during the treatment to compare the results. Depending on the results, the patient is allowed to go back to regular lifestyle or take some precautions. Basically the treatment of concussions depends on the severity of the trauma. In some cases the patients are advised rest for the first 48 hours of injury and later they can get back to regular lifestyle. According to research if treatment and guidelines are followed properly most people recover quickly, about 40% of the concussions patients get back to normal within two weeks while 90% by the fourth week. 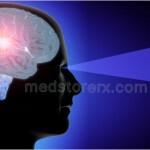 Players suffer concussions during wrestling fights and baseball, basketball, football and other field games, another common cause of concussions are accidents. Hence seatbelts, airbags, and helmets are highly recommended to avoid concussions. It is important to understand, recognise and know the impact of concussions and take the required step to prevent it. Adhering to safety rule guidelines is also a great way to avoid concussions. Wearing safety gear can also decrease the chance of injuries. Education of safety, procedure, and guidelines is the best way to prevent and protect against concussions.